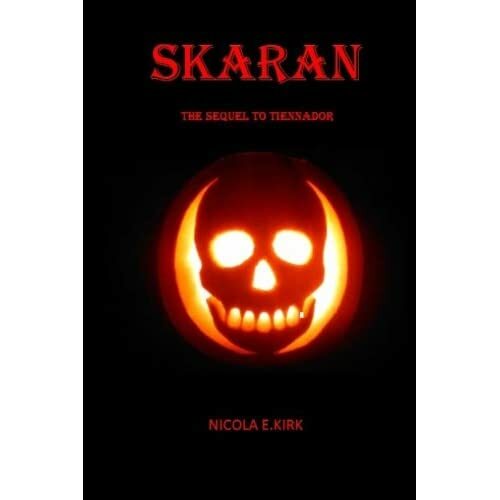 SKARAN – THE SEQUEL TO TIENNADOR NOW AVAILABLE IN PAPERBACK TOO! Well, I’m loving this. All my scribblings are becoming available in paperback as well as in Kindle! Having spent ages writing these things, it’s so nice to be able to inflict it all on the world at large. TIENNADOR – NOW AVAILABLE IN LOVELY PAPERY PAPERBACK FORMAT! I probably shouldn’t say this, but I am easily pleased. It’s true. So when one of my bloggy writer friends, Kay Glass, mentioned she has her literary creations available in paperback format, courtesy of Create Space on Amazon, I must confess I almost tap danced on the table with glee, because that meant that it was now possible for me to do the same! Woohoo! And for those of you who enjoyed Tiennador, the sequel, Skaran, (which is already available for Kindles) will also be available shortly in paperback format too.